Born in Yarram, Victoria, Robert Wynne studied Visual Arts at Monash University, Majoring in Ceramics, before going on to complete a Master’s Degree in glass at California State University. On returning to Australia, Robert established his career as an independent glass artist based in Sydney. 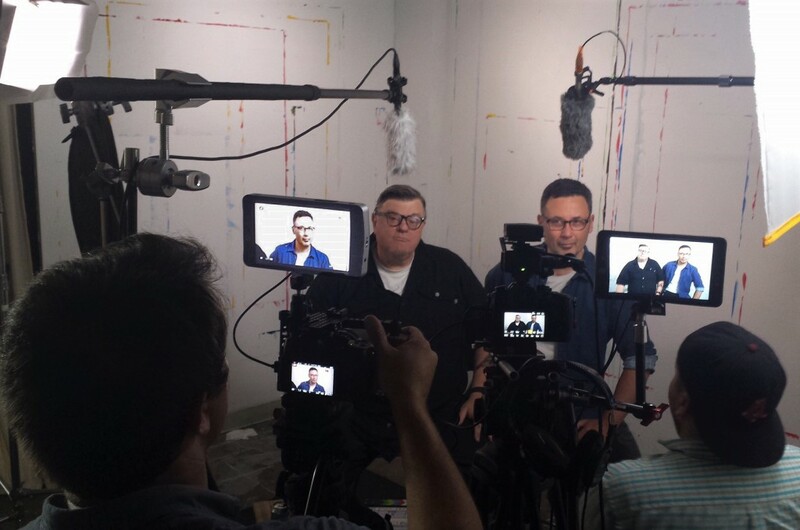 Studio 3807 films WGS Directors Tim Tate and Michael Janis: Prepare to be quadruple terminated! The Gateway Arts District will be welcoming a new apartment development – Studio 3807. Besides offering artist studio space in the new mixed use development, they are displaying works by local artists as part of a permanent collection and as part of a series of rotating art and artists talks organized by John Paradiso. The developer has stated that they want to be an integral part of the Arts District. As part of their marketing efforts, Studio 3807 has filmed videos featuring Gateway Arts District artists – including Washington Glass School. Get your popcorn ready for the release of the major motion picture! Oregon glass makers have gotten skewered in the news this past year. 2016 was the year one modest Forest Service research project turned the Northwest’s storied art glass industry upside down. Samples taken near two Portland art glass factories were shown to carry dangerously high concentrations of heavy metals. These companies make supplies for glass artists all over the world. After a tumultuous year of regulatory and public scrutiny, Uroboros Glass founder and owner Eric Lovell is spending this winter preparing to send his 44-year-old art glass business, Uroboros Glass, into new hands. Lovell made the decision this fall to retire and sell his business to a California-based company, Oceanside GlassTile. Click on link HERE to read KUOW Puget Sound Public Radio’s (PSPR) April Baer interview with Eric Lovell as he prepares to hand off Uroboros to California’s Oceanside GlassTile. While the company has some Oregon connections, it means the loss of some 40 Portland-area jobs to Oceanside, whose production facilities are in Mexico. 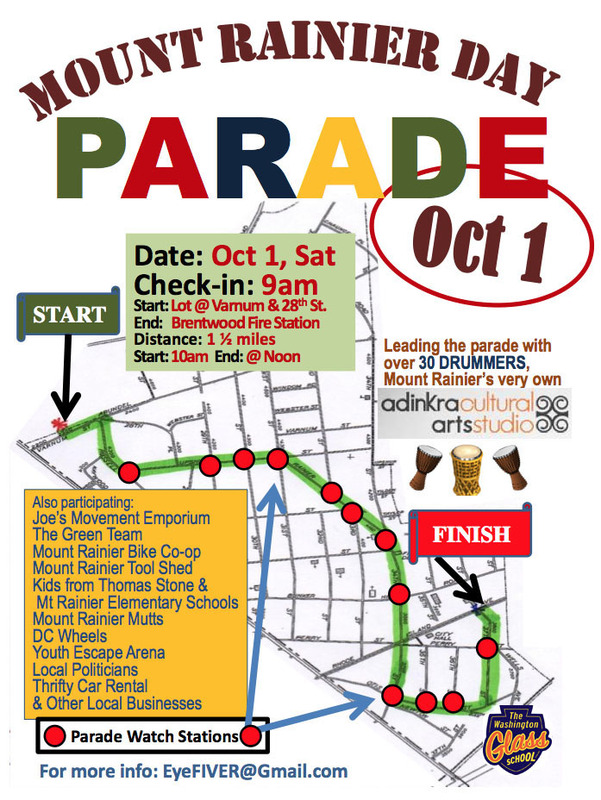 This Saturday, Oct 1, Come to the Glass School for a front row view of the Mount Rainier Day Parade! The Corning Museum of Glass invites artists, craftspeople, designers, and architects worldwide to submit images of new works using glass. 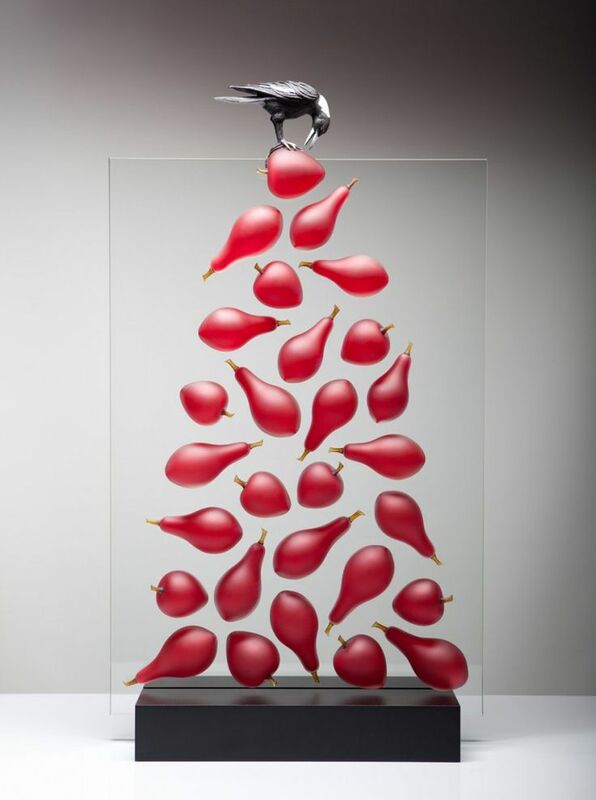 Published by The Corning Museum of Glass, The New Glass Review is an annual survey of glass in contemporary art, architecture, craft, and design created in the previous year by emerging and established artists, as well as students. The works are chosen by a changing jury of curators, artists, designers, art dealers, and critics – this year’s entries will be overseen by the new curator of modern and contemporary glass, Susie Silbert. Submissions for the New Glass Review #38 are now being accepted. In late November or early December, a jury selects 100 images from the submissions. New Glass Review is published every spring by The Corning Museum of Glass and distributed with GLASS: The UrbanGlass Art Quarterly, published by UrbanGlass, Brooklyn, New York. Participants are requested to complete the entry form, submitting a total of one to three digital images illustrating one work per image. Digital photographs must be of actual objects designed and made between October 1, 2015, and October 1, 2016. The deadline for submissions to New Glass Review is October 1, 2016. Woodinville, Wash. – In a move that shocked many in the art glass world, Spectrum Glass has announced that they are going out of business. 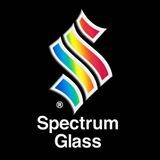 Spectrum, which makes System 96 fusing glass and numerous varieties of stained glass, intends to continue making glass for roughly two more months, then sell off its inventory and exit the art glass business. “After serving the art and specialty glass industry for 40 years, it is with very heavy hearts that we have decided to close Spectrum Glass Company. “Our primary concern is to help ease this difficult transition for the fine employees, customers, retailers, and glass artists that we’ve been proud to work with and serve. We’re committed to doing everything we can to provide career assistance for our people, and are of course offering severance to our employees. For customers and end users, we are exploring opportunities to transfer our product lines to other manufacturers to help minimize disruptions in sourcing. “The decision to close our doors has been extraordinarily difficult. We postponed it for as long as possible,and arrived at this conclusion only after immense consideration. However, due to several factors, it’s no longer financially feasible for Spectrum Glass to continue to operate. “Market factors have played the most significant role. 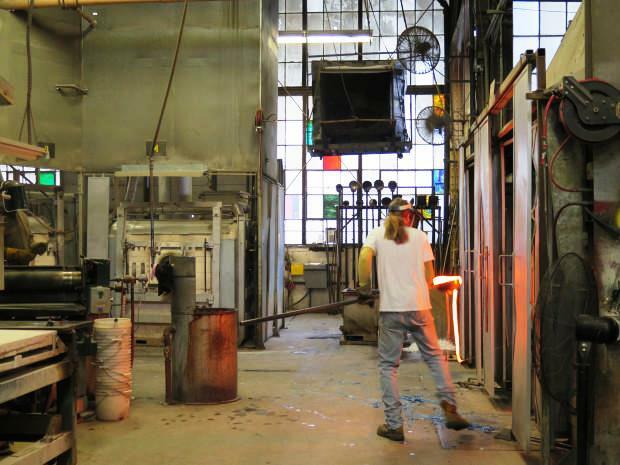 Our facility was built to support product demand at the height of art glass movement, but our sales never fully recovered following the Great Recession. We have watched our sales dwindle dramatically to only 40 percent of production capacity, while overhead expenses have continued to increase. Our consistently reduced levels of sales simply cannot cover the fixed costs required to operate a facility of our size. guidelines and has been the only stained glass manufacturer to employ baghouse technology on furnace exhaust. Still, we have already accrued extraordinary, unanticipated expenses since the start of the EPA evaluation and cannot withstand additional investments of an unknown scale for an already faltering business. Everyone meet and welcome our newest studio artist – Kyle David Crosby. Kyle is also a musician and a film producer, with his company Pictureshow Productions. Kyle David Crosby is a young, up-and-coming producer from Washington, DC. After launching his film career in 2006, Crosby has worked on feature films, television series, commercial campaigns, still photography shoots, and documentaries. He most recently finished Production Supervising HBO’s “VEEP – Season 5″ DC Unit. He is at much at home in the office as he is on set. Pictureshow is a boutique, full-service production company that specializes in feature films and commercial production. Based in Maryland, they have produced movies and commercials for a diverse clientele including BBC Scotland, Marriott, Haxan Films, and the DC Board of Tourism. Pictureshow was formed in 2012 as a banner under which for Kyle David Crosby to produce a short film for Eduardo Sanchez, creator and co-director of the Blair Witch Project, and his directing partner, Gregg Hale. 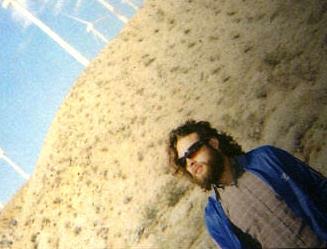 The short was included in the cult-favorite horror anthology, “V/H/S:2″. That film enjoyed an exciting Sundance acquisition and has gone on to be the most celebrated film in the “V/H/S” franchise. Most recently, Pictureshow produced the short “The Confidential Informant” directed by Stephen Kinigopoulos and written by acclaimed writer and producer, George Pelecanos. The project was filmed entirely in DC and is currently in its festival run, garnering acclaim nationwide. 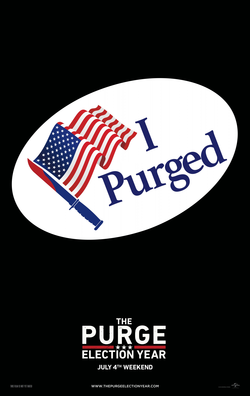 Currently, Kyle is working on the movie “The Purge: Election Year” which opens in July. Washington Glass School SNOW DAY! In advance of the impending blizzard coming towards DC – Washington Glass School has canceled all weekend’s activities. Make-up dates for the classes are being scheduled. Its Pretty In Pink – Its A Girl! 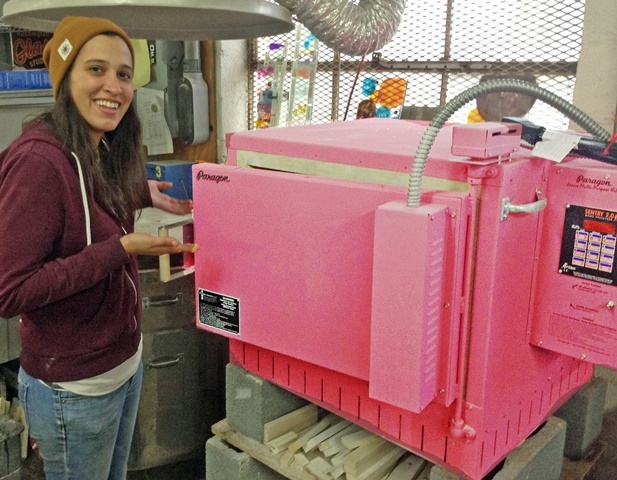 The Washington Glass School has been expecting a new kiln for some time – and today we got our “newest addition” all installed today! Come check out our bundle of joy at the Open House this Saturday, Dec 12th, 2015 – we will have something in the oven! Artomatic Returns -Get Going ! Want to Participate as an Artist? or Volunteer? or Host? Click HERE to jump to Artomatic 15‘s participation website page.